For a child, losing a tooth is cause for celebration and a reward from the Tooth Fairy. For an adult, however, tooth loss can be a real problem. 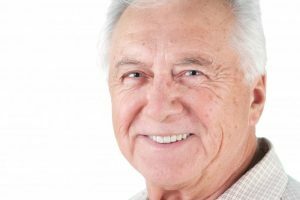 Restorative options such as dental implants, a bridge or dentures can remedy the situation. However, some people choose to live with a missing tooth, especially if it happens to be one less noticeable like a molar. The truth is that even one missing tooth could have a serious impact on the health and functionality of your smile. Read on to learn from a dentist in Ocala about six ways tooth loss may impact your life. Each and every one of your teeth helps keep your jawbone healthy. When you chew or bite down, that normal pressure stimulates bone tissue, encouraging healthy new cell growth. However, when a tooth is missing, so is that important stimulation. Consequently, bone tissue may begin to melt away. As bone tissue dissolves, your jaw begins to shrink. Eventually, this can give your face a sunken appearance that ages you prematurely. The stimulation that teeth provide keeps your face looking full and young. When you have a complete row of teeth, they all work together to keep each other in proper position. Let one go missing, and adjacent teeth may begin to shift in order to take up the vacant space. As a consequence of shifting teeth, your bite may become misaligned. In addition, the tooth that opposes the vacant space may start to drift down because there is not another tooth to stop it. To compensate for bite irregularities, you may move your jaw unnaturally in order to chew food. Many people don’t even notice they are compensating in this way. However, they will certain begin to notice the discomfort or pain of TMJ dysfunction. This is a medical condition that happens when the joints that allow you to open and close your mouth malfunction. Improper jaw movement can lead to TMJ dysfunction. Last but certainly not least, a missing tooth can affect your ability to speak clearly. Along with your tongue, lips, jaw and facial muscles, teeth play an integral role in word pronunciation and enunciation. Depending on the location of your missing tooth, any number of sounds may be difficult to speak clearly. One of the best replacements for a missing tooth is a dental implant in Ocala. An implant replaces both the root and crown of a tooth, restoring both form and function. Whether you’ve just lost a tooth or have been dealing with the consequences for a while, now is the time for a replacement. Contact a dentist in Ocala today. Dr. Daniel Weldon is proud to serve as your dentist in Ocala. He enjoys working with entire families and would be happy to help you explore tooth replacement options if you have a missing tooth. Please contact our office at 352-509-5761.